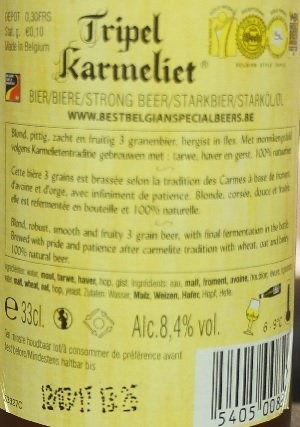 Brewer Description: (from bottle) Blond, robust, smooth and fruity 3 grain beer, with final fermentation in the bottle. 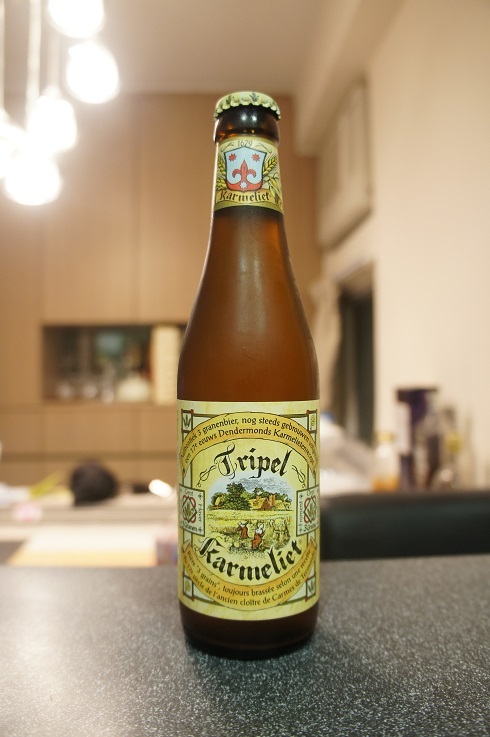 Brewed with pride and patience after Carmelite tradition with wheat, oat and barley. 100% natural beer. Intro: A 330ml bottle with a best before date of 12th March 2017. 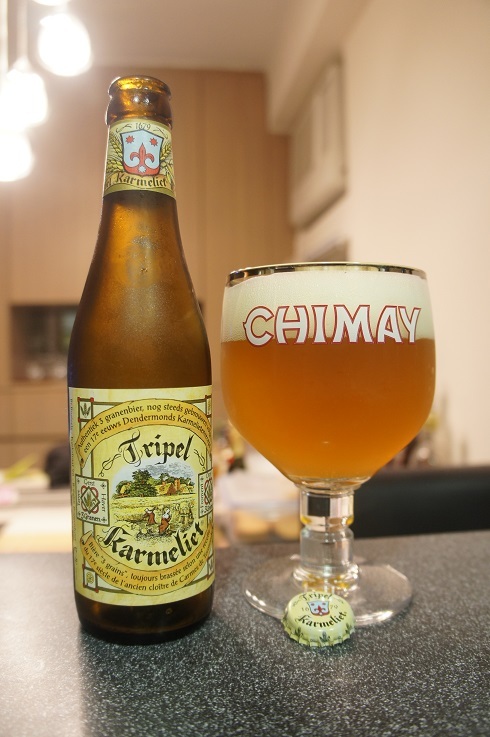 Poured into a Chimay goblet.